This book focuses on the relevance of space as a new domain towards enhancing war fighting capabilities. The Cold War saw rapid development of space technologies, which in turn spurred the growth of satellites. Slowly the traditional military capabilities for C4ISR were transferred to the space, the 'Ultimate High Ground.' The use of navigation and communication satellites in direct support to the US war efforts was visible during Gulf War I, which is aptly referred as "First Space War." The book delves at length about the Chinese Space Programme and their military exploits. Apart from militarization, the Chinese went ahead with weaponization of space, in order to gain asymmetric advantages over the much stronger and technologically advance US capabilities. 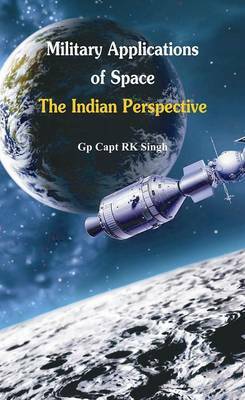 The existing and futuristic military exploits of space assets by India has also been discussed in this book. A case for an "Indian Space Security Architecture" has been proposed, which shall secure the Indian space assets and provide comprehensive National Security. This book also highlights the necessity and urgency of Indian ASAT, as a strategic deterrence, to counter the threat to our space assets from the Chinese ASATs.